Afternoon host, Daniel, has joined our air staff. Daniel is 13. He will be on air several afternoons each week and will also be involved in some off air projects. We are working around his school and other commitments to give him the chance to grow and develop. We are incorporating "information updates" of local news highlights weekday mornings around the bottom of the hour. This includes local news ad weather. Full stories and links provided on our Facebook and/or Twitter social media pages as appropriate. 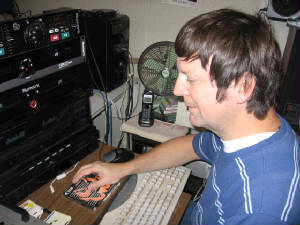 Morning host Paul Glimmer will continue to provide a full service morning show with music, weather, time checks, traffic, sports, and more.